The Cuisinart CPS-013 is a 13 inch pizza grilling stone. 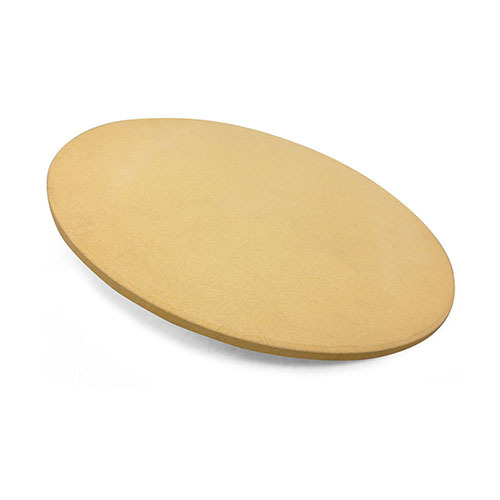 The 3/8" thick cordierite Pizza Grilling Stone hold and conduct heat evenly to produce perfectly cooked pizzas every time. Cordierite is the perfect material because it is durable, withstands the high temperatures of an open flame, and resists thermal shock better than ceramic. The Stone allows to make a variety of sizes, such as a late night personal pie, or pizza for whole family. The Cuisinart 13 Inch Cordierite Pizza Grilling Stone has many exciting features for users of all types. 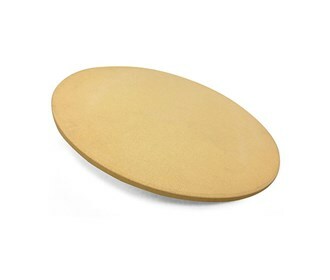 You can extend the lifetime of your Cuisinart 13 Inch Cordierite Pizza Grilling Stone with the purchase of a FactoryOutletStore Factory Protection Plan. See the Cuisinart 13 Inch Cordierite Pizza Grilling Stone gallery images above for more product views. The Cuisinart 13 Inch Cordierite Pizza Grilling Stone is sold as a Brand New Unopened Item.